At Hemet Dental Center: Brian Stiewel DDS, INC., we offer dental restorations so that patients throughout Hemet can stay in excellent oral health. Dr. Stiewel is an expert at completing restorations in a way that restores the functionality of a tooth while also looking completely natural. This is important for ensuring that once the dental work is complete, no one can tell your tooth was ever damaged. If your tooth is cracked, chipped or damaged in any way, call 951-707-4366 to schedule your appointment. Restorations are also needed after a tooth becomes infected. When a patient gets a cavity, or a root canal is necessary, Dr. Stiewel can restore it so that the tooth can continue to function without needing to be removed. This is far better for your overall oral health since keeping your natural teeth is the best option in the long run. 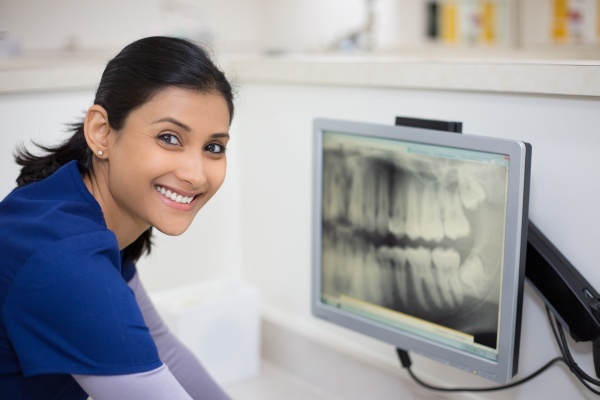 If you live in the 92543 area schedule an appointment with our dental office to learn more about the type of restorations that are available to correct your tooth. At Hemet Dental Center: Brian Stiewel DDS, INC., we don’t believe that there is a one-size-fits-all-solution, but offer customized treatment plans based on the needs of each patient individually. This means that the restoration that works for your spouse is not necessarily the one that we will recommend for you. Dental veneers. If a tooth is only slightly damaged with a small chip or crack, a veneer can be used to restore it. A veneer is a thin shell that is placed on top of a natural tooth and frequently used for restorations of the front teeth. The process of placing a veneer is similar to that of a dental crown only with less tooth preparation. If you live in Hemet, CA schedule an appointment so that we can discuss both options with you. Tooth-colored fillings. At Hemet Dental Center: Brian Stiewel DDS, INC., we use tooth-colored fillings as a way to restore teeth that have had cavities. 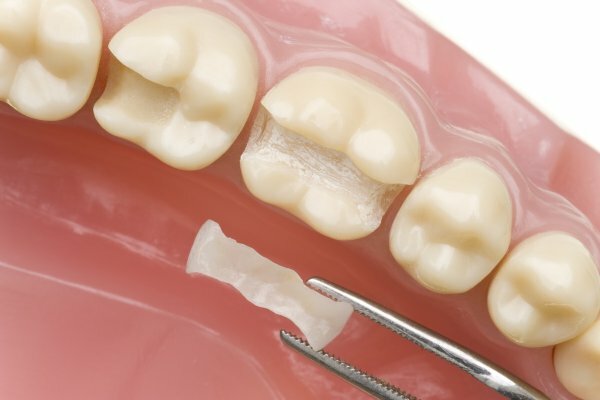 Once the decayed area of the tooth has been removed a filling is necessary to replace the missing enamel. Traditionally, this was done using silver amalgam but now we can complete dental restorations using materials that look natural so that when you smile, no one can tell that you had cavities. Bondings. Those that need minor restorations can often benefit from a simple bonding procedure. This is popular in the 92543 area when restoring baby teeth. Children, for example, don’t need a dental veneer on a tooth that is going to fall out in short order. With this in mind, we can keep a baby tooth in place and ensure that it is functioning properly by restoring it using a bonding procedure. Dr. Stiewel will use a tooth-colored material so that it looks completely natural. At times, patients in Hemet need dental restorations to replace teeth. Whether a tooth has been knocked out or has fallen out due to an infection, there are several ways that it can be replaced. In order to determine what procedure is right for you, call (951) 707-4366 to schedule an appointment and consultation. Many patients in Hemet CA prefer to use dental implants instead. An implant is by far the most durable option for replacing a missing tooth. In this procedure Dr. Stiewel implants a metal post under the gums and secures it to the jawbone. The bone and metal fuse together to create a synthetic root system that the new tooth is secured to. With this type of dental restoration, patients can maintain an active lifestyle without worrying about the impact on their new tooth. Check out what others are saying about our dental restoration services on Yelp: Dental Restorations Hemet. Dr. Stiewel is a true expert at completing dental restorations and can do so in a way that is comfortable and natural looking. It is extremely important to work with an expert since it ensures that your restoration will blend in with your natural teeth. Patients throughout the 92543 area appreciate that once their tooth is restored, they can smile without worrying about how it looks. Additionally, working with an expert makes it possible to feel comfortable after a restoration. The restoration must be designed perfectly so that it fits with your existing bite and the surrounding teeth. If you live in Hemet, California call 951-707-4366 and schedule your appointment to experience why patients trust Hemet Dental Center: Brian Stiewel DDS, INC. with all of their restoration needs. 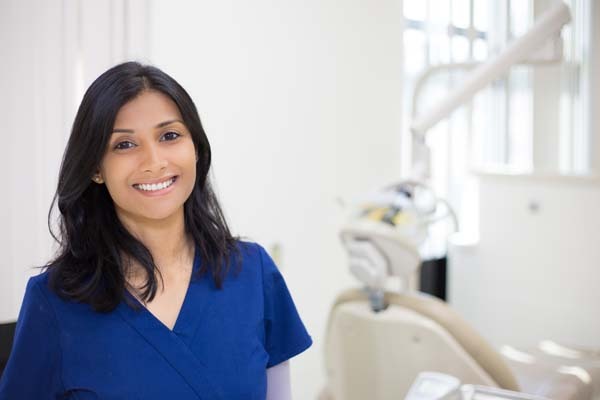 Which Tooth Repair Solution Is Right for You?